GENUS BONONIAE is a private company promoted by the Carisbo Bank Foundation. 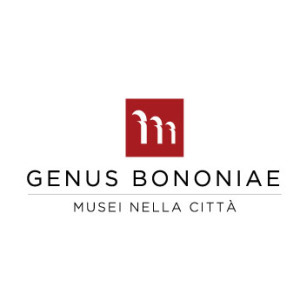 It was born in 2003 to develop the project “Genus Bononiae”, a museum system presenting the history, the arts, the music, and the cultural life of Bologna. The whole project includes eight buildings situated in the centre of Bologna, now renovated and restored to the public use. MCBO is the heart of the project, characterized by a strong use of multimedia and interactive devices to promote broader accessibility to cultural heritage and offer. “Genus Bononiae” intends to preserve the huge cultural and artistic patrimony of both MCBO and the Foundation, including paintings, sculptures, photographs and musical instruments; it also promotes and increases it through public cultural events and exhibitions. Special attention is given to the dialogue between the city and Italian, European and international citizens and cultural institutions, Bologna being a city at the cross-road of many EU and world migratory flows. MUSEO CITTÀ DI BOLOGNA will: Coordinate the communication and promotion activities of the whole project, through its Marketing and Communication Department; host the opening workshop of Performigrations, within the conference hall of the Museum and organized by the Museum Events Department; Supply contents for the art-installation, taking inspiration from the huge cultural heritage of the Company and the Bank Foundation (images, pictures, music and others), and in relation to the migration memory theme; Coordinate and host the art-installation exhibit in Bologna, in step with the other multimedia devices exhibited in the museum (May-June 2015); serve in the project Scientific Committee; contribute to monitor and assess activities; contribute to support project fundraising.